Our Long Island wedding photographers capture your story with still images in a natural, artistic and realistic fashion. We photograph your day in both candid and documentary styles, allowing you to enjoy your day without even knowing we are there! Your wedding story is meant to be cherished and we have the skills, equipment and passion to create the most beautiful photographs and album with our photographry packages listed below. Memories can fade but our pictures will last forever. With over a decade of experience behind the camera, we have developed a style that is candid, creative and casual. Sure, there is going to be some artistic posing of you and your spouse so that you have AMAZING photos for your wedding album and social media posts, however, we will have FUN while doing so and promise no stuffy poses!! When we arrive at your bridal prep we may begin photographing some candids of you, your friends and family as you enjoy the moment. Later, we take take the time to photograph your details such as rings, invitations, flowers, dress and more in a delightfully artistic way. 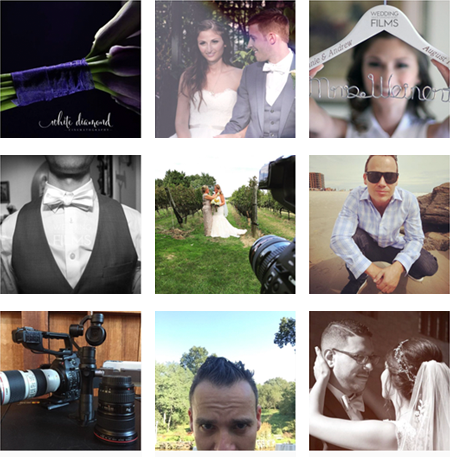 We continue this artistic pursuit of the perfect wedding album throughout the entire day! Your wedding is going to be filled with smiles and tears, tiny gestures and grand excitement, we are there to capture every moment. We TRULY give it our all and cannot wait to capture your day! Offering three wedding photography packages for you to choose from! We are always happy to customize the perfect photo and video package for you too! Please text, email or call us (631) 662-5960. If you are interested in getting some more information, please send us your Date Availability inquiry here thank you! We LOVE Social Media, do you?